LONDON (AP) — Britain’s domestic intelligence chief warned during a rare public speech Tuesday that the terrorist threat the country faces has accelerated at an alarming pace and is worse now than at any time in his 34-year career. 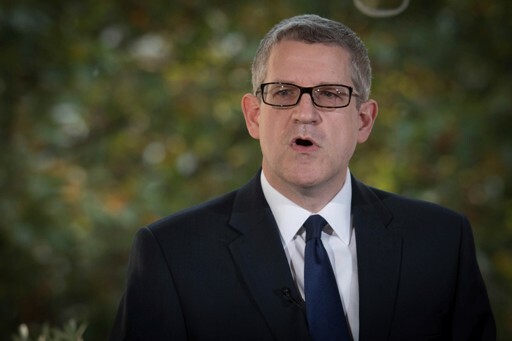 MI5 Director General Andrew Parker said his agency, also known as the Security Service, is constantly expanding and upgrading its capability, but cannot realistically prevent all attacks targeting civilians. He noted a “dramatic upshift” in the threat this year, with successful attacks in London and Manchester that killed 36 people combined. He said continental Europe has faced a similar surge, particularly in France, Belgium, Germany and Spain. “The scale at which we are operating is greater than ever before,” he said. Parker said MI5 has more than 500 live investigations involving roughly 3,000 people known to be involved in extremist activities. In addition, he said, more than 20,000 individuals have been scrutinized in the past for possible terror ties and there are undoubtedly “violent extremists” who have thus far not been detected by the Security Service. The risk is further heightened by the possible return to Britain of citizens who joined the Islamic State group in Syria and Iraq, Parker said. He said MI5 is well-equipped to cope with the deepening threat, with its ranks set to grow from 4,000 to 5,000 over the next few years. Parker cautioned, however, that it is impossible to stop every attack. The director called on technology companies to work with the government on preventing their social media platforms from being used by extremists for communications that cannot be monitored. When asked if Facebook and Google were doing enough on this front, Parker declined to discuss specific companies. He praised advancements in communications technology, but said an “unintended side effect” has been to make it easier for extremists to avoid legal monitoring by using apps, including many that provide encryption, to avoid detection. He said companies should to more to prevent this abuse of their communications systems. “For the companies there must be an ethical responsibility,” Parker said. “The way to move forward is in partnerships together.